Episode 1 re-introduces Shuei, whom we've already seen in KARMA: Chapter 1. 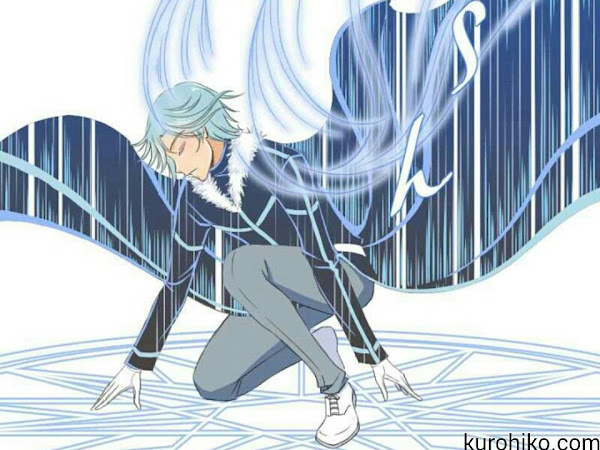 In the first installment, we knew him as "Reign Shuei", but I decided to use his last name for the webtoon so as not to confuse him with Rei. I got to showcase his powers a bit more in this webtoon episode~ And it's actually pretty fun that I got to re-draw all my characters, with the exception of Caliso, a new demon I created especially for this spin-off. She is actually the same demon in Chapter 2, but we never got to see her real form until now. Also, I have the utmost respect for all the webtoon artists and creators who can somehow manage to draw one episode every week! When do you guys manage to sleep and eat? !